It is hard to believe that 2017 is almost over but here we are, staring at 2018 coming at us like a freight train. 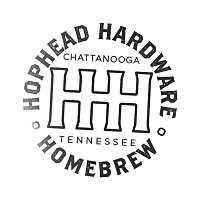 Last year we set some homebrew goals; you can read about them HERE. 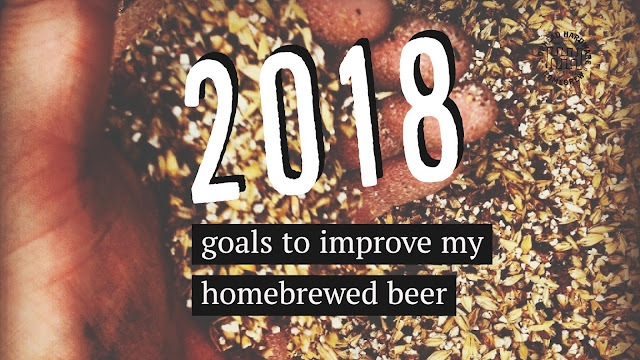 Before I set goals to improve my beer in 2018 it would be wise to take a look at how 2017 went for the No Ragrets Brewatorium and HopHead Hardware. Allow me to grade myself on how well I did to achieve those goals. It may be only mid-October but I don't see much more getting accomplished towards meeting my goals in 2017. I obtained and used a fermentation fridge and did some lagering. I can check that goal off of the list. I didn't make any progress towards kegging my homebrew. I use hops bought in bulk almost exclusively and get most of my grain in 10lb bags. I hoped to be using 55lb sacks of base malts by the end of 2017 but that did not happen and won't by the end of the year. I got chlorine and chloramine under control but that is all. I'm giving my self a 30% completion grade only because those two factors are so important. Why an extra 10%? I entered one beer into my first homebrew competition and it was a lager. Lagers a typically judged harshly in competition and mine scored a 40 out of 50 in the International Pale Lager category (2A). Diggin' Up A Date Beer 2017 won a silver medal. My grade for completing my 2017 homebrew goals is a meek 67.5%. In order to ensure constant improvement, I have to set some goals for 2018. This is a carry-over from 2017 but I want to complete this goal more than ever. Not only do I want the convenience of kegged beer but I also need to eliminate exposure to oxygen. Huntress 1.1 was an expensive beer to brew and many of the bottles suffered from oxidization and inconsistent carbonation. Using bulk grains will greatly reduce the cost of brewing each batch. By the end of 2018, I will be measuring my grains from 55lb sacks of base malts and 5lb or 10lb bags of specialty malts. The occasional malt may still be purchased in smaller quantities if it is rarely used in my brewing. Sooner, rather than later, I will start building a frozen yeast bank. I plan to have a bank of my core yeasts that I use in my homebrewed beers. This will greatly reduce the cost of brewing and allow e to brew more. It is time to upgrade to stainless steel fermenters. Glass carboys are too fragile so I won't spend money on them. Stainless steel fermenters allow for complete sanitization, they have higher quality fittings and last a lifetime. There is a silver medal in the collection but now it is time to shoot for gold. 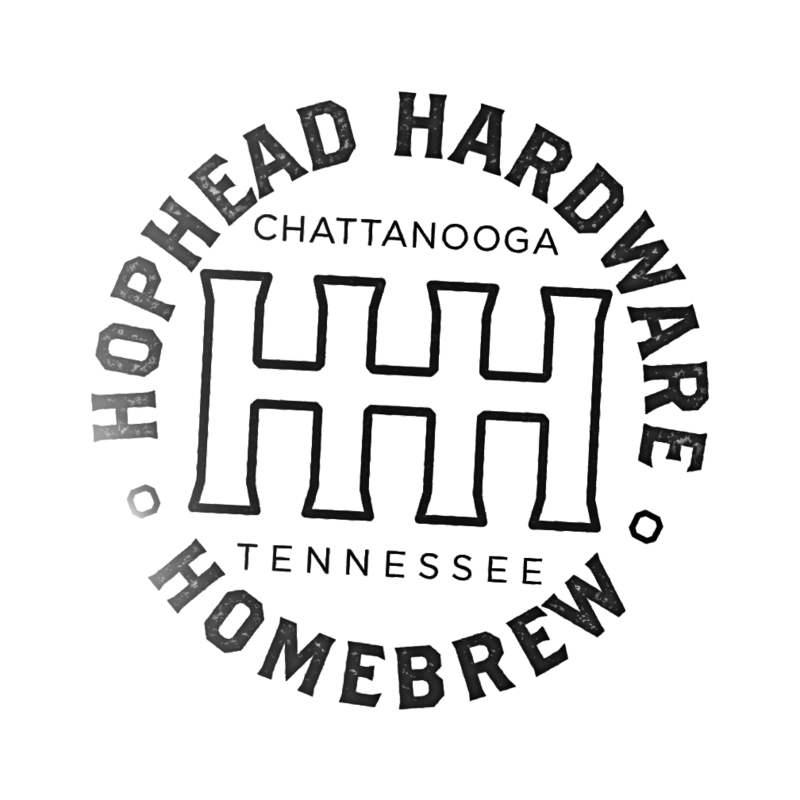 I'm entering more competitions in 2018 and hoping to help my club in the MidSouth Series of homebrewing competitions. I skipped carrying over water chemistry goals from 2017. Frankly, my tap water is good and it makes good beer when I remove the chlorine and chloramine. Who was it that said, "good water makes good beer?"